The final 12 man team line-up of the Smart Gilas Pilipinas Team is out and sadly, one player has to be cut from the team due to a grave reason- the July 12 deadline for Final Team Rosters. I feel bad for the 6'6 behemoth Beau Belga of the Rain or Shine Elasto Painters who was cut from the Line-Up. But that's life. Sometimes you have to give way to others. Good thing he didn't feel bad when Coach Chot told him that he got cut. "@coachot salamat coach.. Thank you din sa pagtitiwala," said Beau via his Twitter Account. 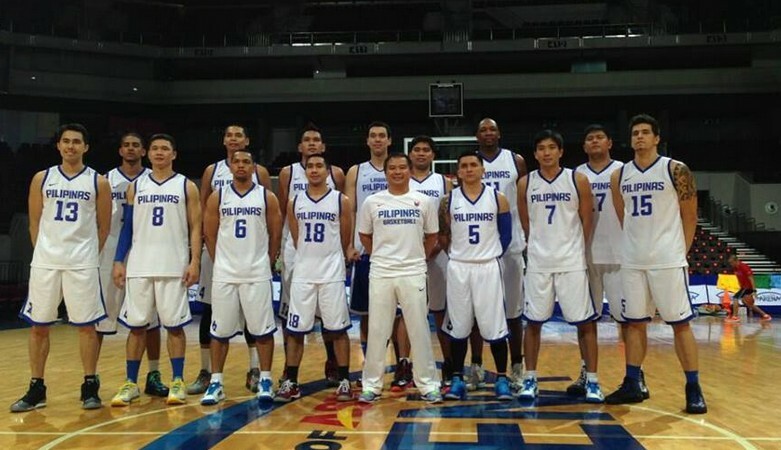 And so, without further ado here's the final team line-up of the Smart Gilas Pilipinas National Team that will represent our country in the upcoming FIBA Asia Championship 2013 on August 1-11, 2013 at the SM Mall of Asia Arena. bakit nawala si Greg Slaughter? bat di kinuha c thoss. the roster is seriously lacking any depth at the small forward position. it will be tough for this roster to make headway in the tournament. in fact, the roster does not even have a single legitimate small forward. instead of criticizing our team, why don't we support them guys? they were chosen by different coaches and not coach chot alone. they need our support and trust! oh common! here we go again, crab mentality ng mga pinoy. Laban Pilipinas!!! BKit nawala si Greg SLaughter ? sayang naman . ang gulo ng info ng mga height nla.. anu b tlga? laban smart gilas !!!! susupurtahan namin kayo , para sa pilipinas !!! Because Greg slaughter is a soft player. but because of people who don't do anything about it"
"L E H I S L A T U R A"
" freedom of I N F O R M A T I O N ACT 2012"